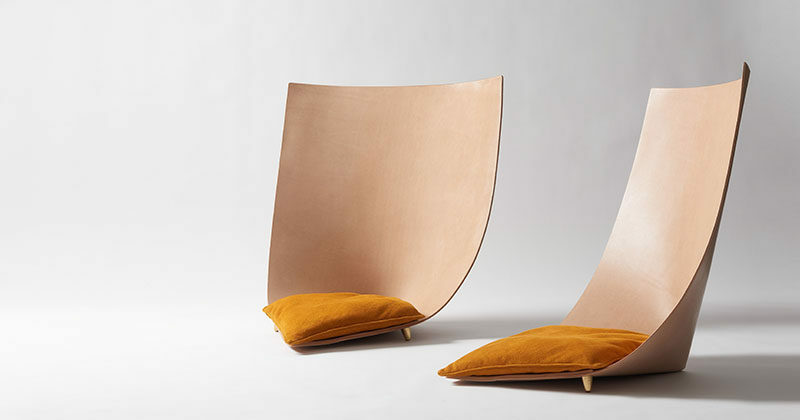 Spanish designer Jordi Ribaudí has created a sculptural chair, that’s inspired by the great journeys of the desert tribes, during which men feel close to the earth, Babu is a spot for relaxation and meditation; a place to rest, a shelter. 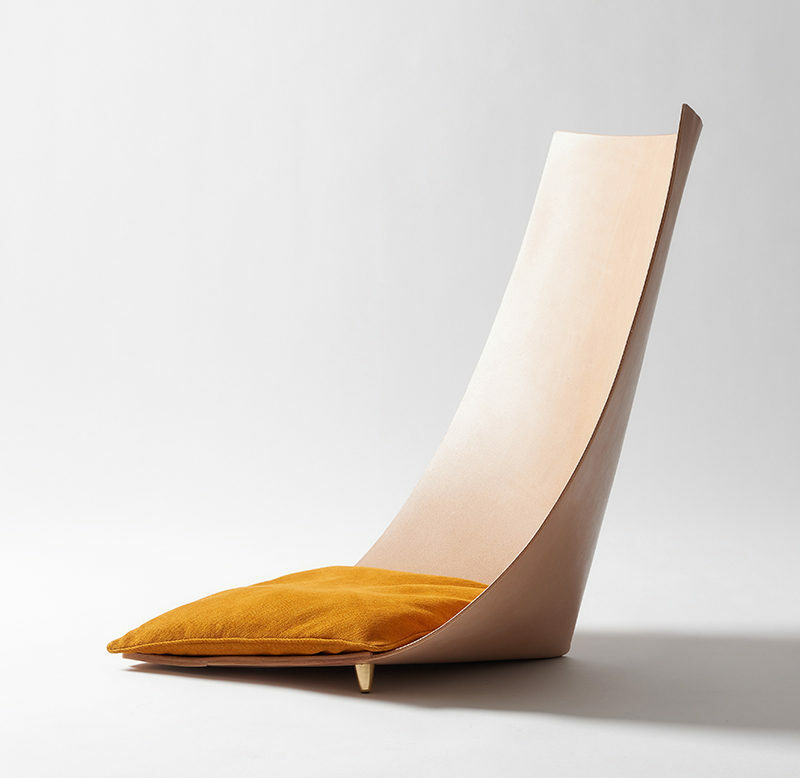 The design of the chair is made from a single leather piece to create the backrest, while small brass feet keep the structure together, and a cushion is added for comfort. 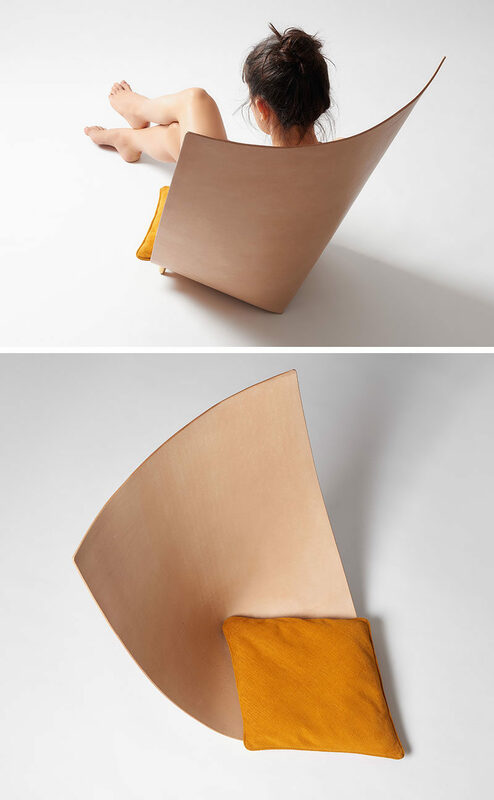 Designed for furniture manufacturer TORU, the chair takes shape from a single 6mm-thick natural leather piece that been vegetable-tanned and wax finished. The use over time gives Babu a special patina, which can change its color.